April 14, 2014 - Like us now! A lot of us, at some point in life come up with ideas that we think can create an impact but only a small percentage actually work on to make them come true. This is what separates entrepreneurs from the crowd. Their percentage in the total population might be low, but still there are a lot of individuals and teams that are working hard with the dream of making a name for themselves and the country.We saw such an example in The Entrepreneurship Challenge that happened this weekend at LUMS. People from all over the country even from far flung areas of KPK and Sindh participated to prove how much serious and involved they are in their work. The Entrepreneurship Challenge, this year, was very special because the best business ideas were to get the chance to pitch in front of ‘The Foundation Council‘. The teams further selected would be then enrolled in different programs of LUMS Center for Entrepreneurship that suits their needs. The first day of the event was all about motivation and mentoring. A number of accomplished businessmen of the tech industry addressed the participants. 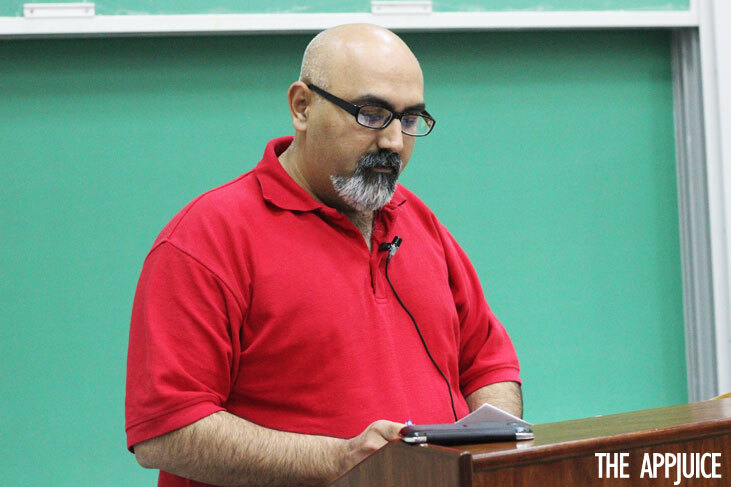 The session was started with a Keynote Address by Syed Babar Ali who was the chief guest on the first day of the event. The keynote was followed by Khurram Zafar, the executive director of LUMSCENT (LUMS Center for Entrepreneurship), in which he gave an Introduction to LUMSCENT, its activities and goals. After that, the attendees enjoyed a stimulating talk by CEO of Deltatech, Nahil Mehmood, titled “The Lion and Slave” which was all about the many reasons one should choose to be an entrepreneur. That was followed by an informative lecture about “Start-up and Role of Marketing in Growth“ by Raza Saeed, CEO of PakWheels.com the most popular e-mart for buying and selling cars online. 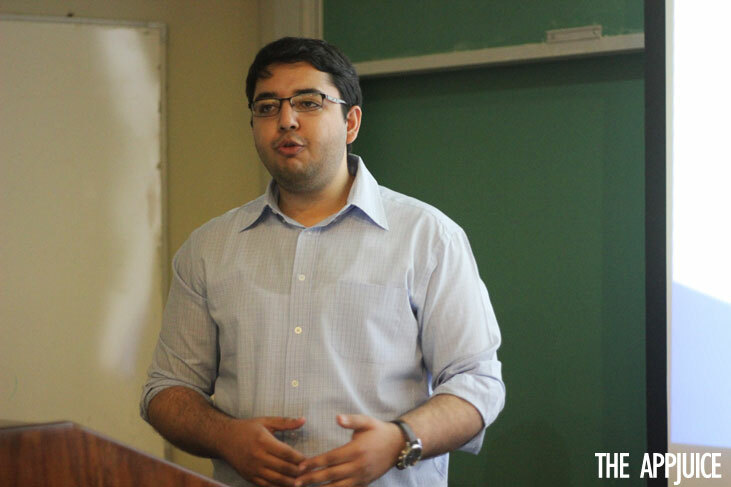 Zia Imran, CEO of Vahzay gave a talk on “Start-up Metrics and Financial Modeling for Start-ups“. 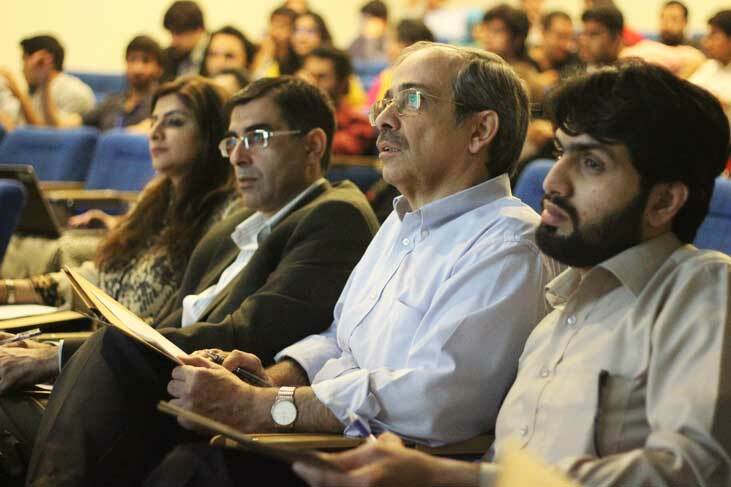 The series of talks was concluded with“How to raise Capital for Start-ups in Pakistan” by Nasrullah founder of Pring. The day didn’t end here! The above mentioned sessions were followed by mentoring the teams individually for the rest of the night. The teams were all pumped up and motivated from the previous days session and were ready to present their ideas to the panel of judges. This step had two rounds, firstly the brief 1 minute pitches by all the teams and a second round of more detailed presentations by the qualifying teams. Round 1 – Elevator Pitches: Each team was allowed a period of 60 seconds to pitch their start-ups and captivate the judge’s interest. 20 teams were selected to move to the second round. Round 2 – Presentations: Round 2 was 10 minutes long for each team, they had to give a presentation about their product in the first 5 minutes. The later half of this round comprised of judges asking any questions they had about the teams’ ideas. PeaceKeepers (Winner) Multiplayer enablement platform for mobile game developers. Peace Keepers team came all the way from Karachi to participate in the competition, the team members Sameer, Zohaib and Abrar are quite well known among the Microsoft Community in Pakistan and they greatly impressed AppJuice Team with their desi version of Flappy Bird “Oye Flappy”. Appography (1st Runner-up) Visual Interactive voice response (IVR) system to eliminate call hold times for customers. Appography has gained a lot of traction in a small amount of time, they were shortlisted for BlackBox VC program this year and also got a very good investment offer from an Intl. VC firm. Savaree (2nd Runner-up) Savaree is an open-source ride-sharing platform that brings together drivers going a certain route and people who need a ride along that route. Drivers register their route and the approximate time of departure along the route, so potential carpoolers can search for routes that match where they want to go. Savaree team developed the first prototype of their product at Lahore Hackathon. Along with these winners some other startups also impressed the judges and got an offer to meet the Foundation Council for incubation or acceleration. Market Eagle is an independent and unbiased market research and financial information portal for Pakistani market. Redline Surfers is a delivery service that delivers just about anything in 30 minutes. Vendcyclers is a recycling service that provides incentives and rewards to consumers for recycling plastic and paper. Bookworm is an online book ordering platform with reading kiosks at public waiting areas, like the airport. Bugdev Studios is a mobile gaming company that has already developed dozens of games. Smile, Adhoc and Oplicate teams came all the way from Sindh & Pakhtunkhwa and got a lot of encouragement from the judges. 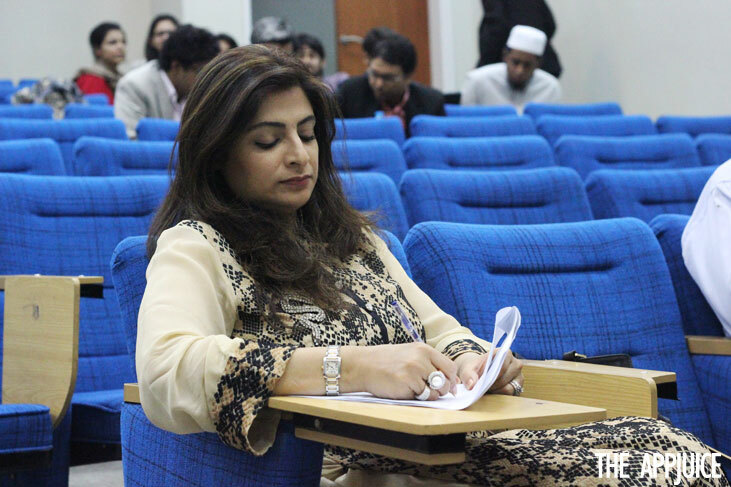 We are yet to see the inauguration ceremony of LUMS Center for Entrepreneurship that is expected in a few weeks.